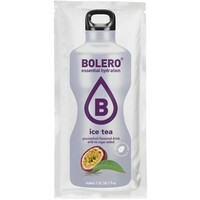 BOLERO ICE TEA Passion Fruit Take a trip to the tropics without leaving home! 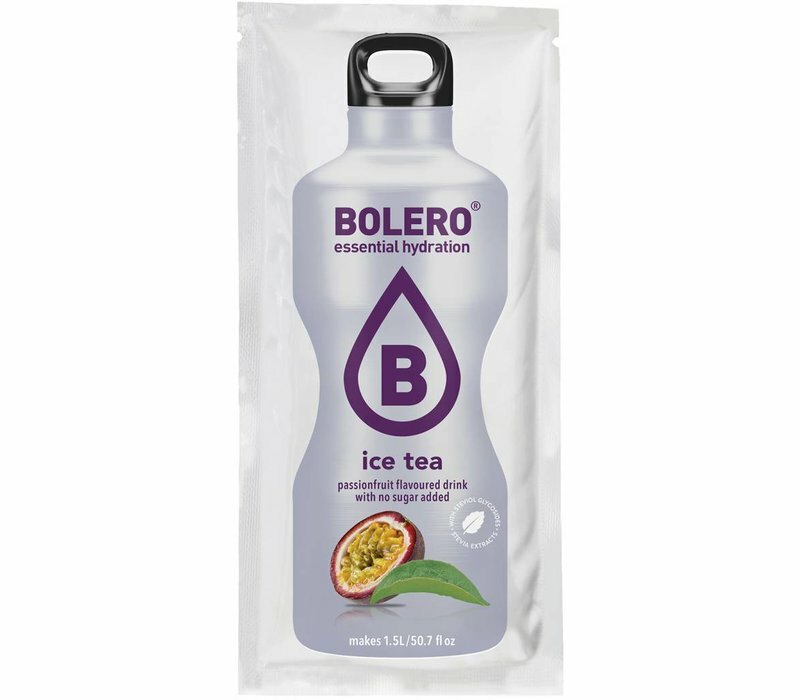 Bolero Ice Tea Passion Fruit, made with a unique flavour that could make this your favorite ice tea. 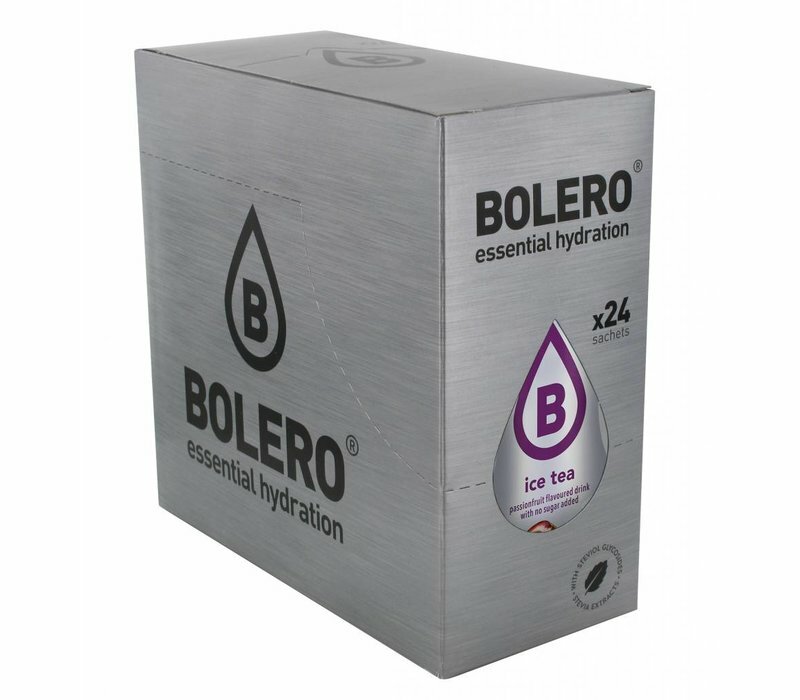 Let Bolero add a tropical twist to your life! INSTANT PASSION FRUIT FLAVOURED DRINK WITH BLACK TEA EXTRACT AND SWEETENERS. 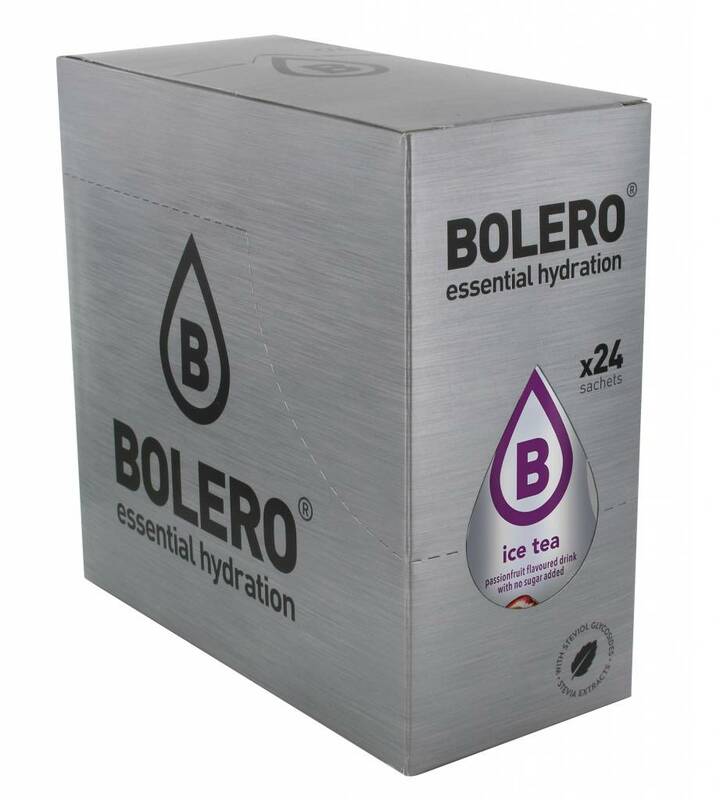 INGREDIENTS: ACID: CITRIC ACID; BLACK TEA EXTRACT (22,5%); BULKING AGENT: MALTODEXTRINE; FLAVOURING; NATURAL FLAVOURINGS; SWEETENERS: ACESULFAME K, SUCRALOSE, STEVIOL GLYCOSIDES (STEVIA EXTRACTS); ACIDITY REGULATOR: TRISODIUM CITRATE; ANTI-CAKING AGENT: TRICALCIUM PHOSPHATE; THICKENERS: GUAR GUM, GUM ACACIA; L-ASCORBIC ACID (VITAMIN C).